After all the hard work of planning a wedding and then the hustle and bustle of the big day itself has died down, there is still one big task to accomplish. When faced with expressing your gratitude to the friends and family who joined you and supported you on your very special day you may be left with lack of words. A photo card gives you more options for making a card unique. Here are some ideas for photos to use in your thank you card. Make a plan with your wedding photographer to get a shot on your wedding day of the two of you holding a Thank You sign. It can even be handmade in your own writing – it still gets the message across. Take a moment during your honeymoon to take a picture for your Thank You cards. 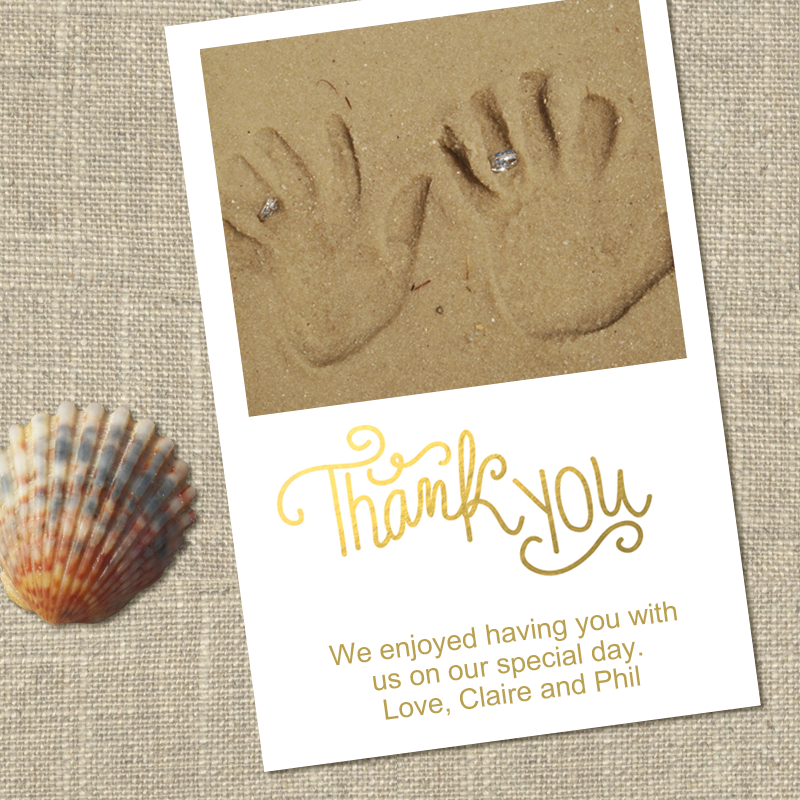 Something as simple as your handprints and wedding bands in the sand make a charming card photo. Getting married is a big news but moving to a new address after the wedding is big too! 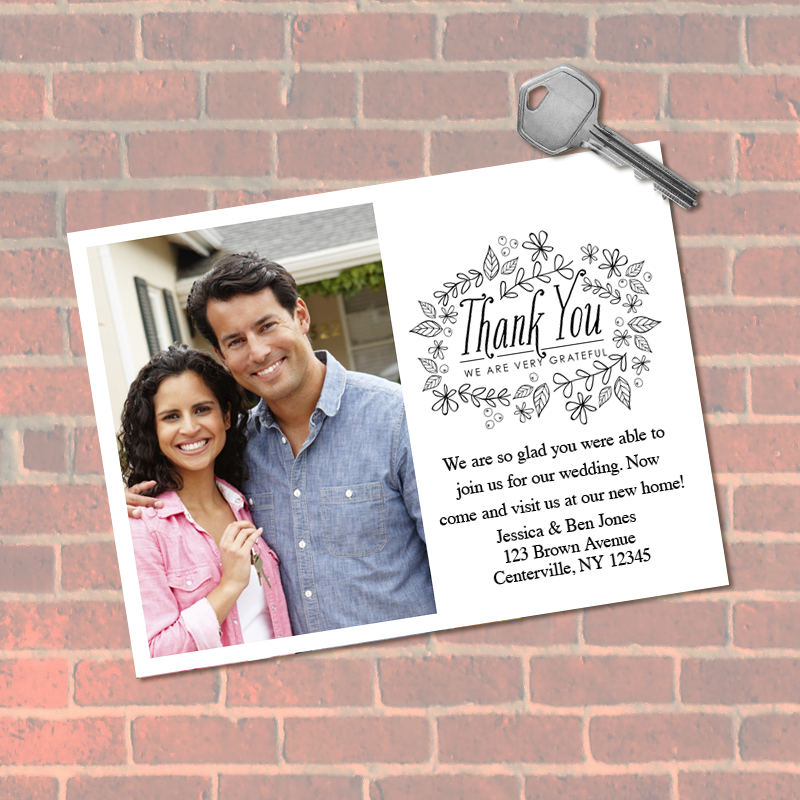 Share your new address with everyone in your thank you card and feature a photo of you in front of your new abode. 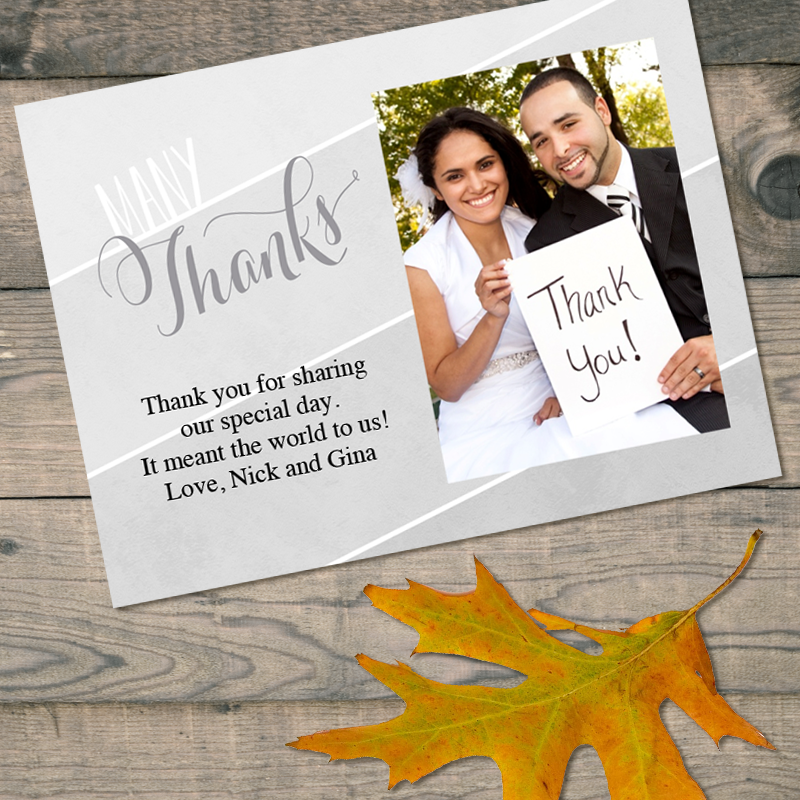 Photo thank you cards help you express how you feel beyond words. These creative ideas will help you design a card that will make the recipients want to hold onto it. And photo cards aren’t hard to create. You can even use a photo you snapped with your phone when you were on your honeymoon. With the My Kodak Moments app, you can make prints, collages and these Thank You cards right on your phone. The app can be downloaded for iOS or Android here. After Christmas and birthdays, the last day of school might be the most exciting day for a kid. It’s pretty good day for teachers too and for parents… well maybe it’s not their favorite day. Whether you are a kid, a teacher or a parent, here are some project ideas that use photos that will make that last day a fun one. 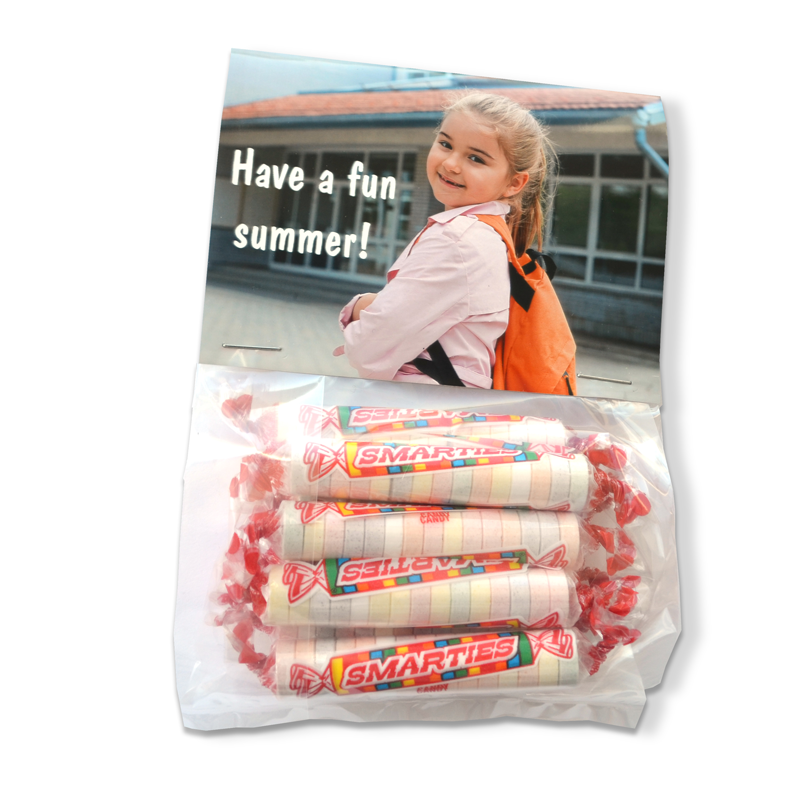 See your friends off on summer vacation with a sweet sendoff. 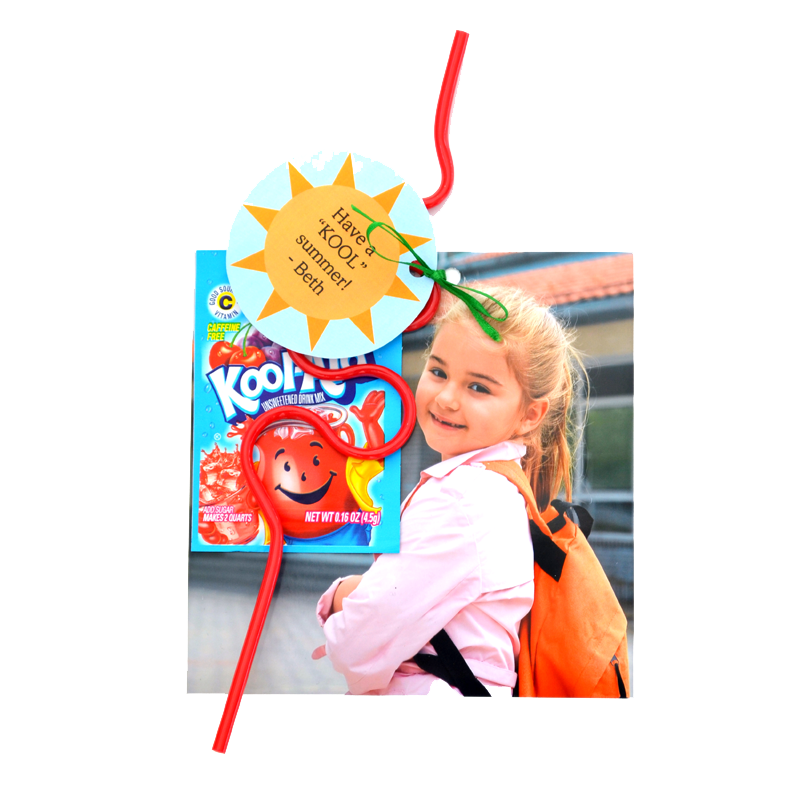 You can add text to your photo with the Kodak Picture Kiosk before stapling it to the bag of candy treats. Or you could add a powdered drink mix and a crazy straw to a photo for a summer treat. Both of these are quick and easy goodies to make for classmates. You can’t forget about your teacher. Make a thank you gift that they will really enjoy. 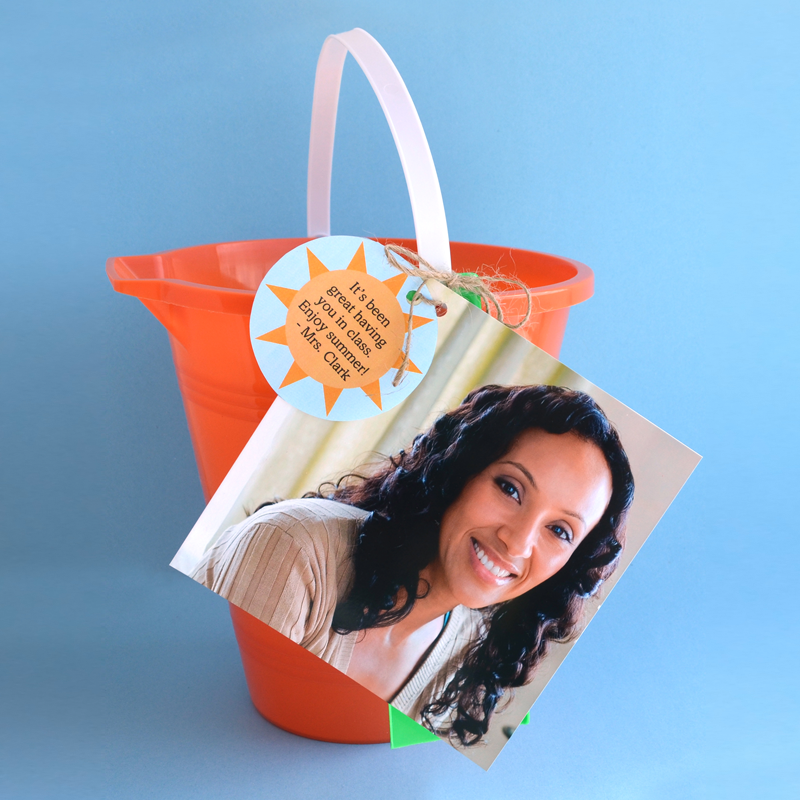 Add some garden tools and a photo with a message to a flower pot that your teacher can use over the summer. 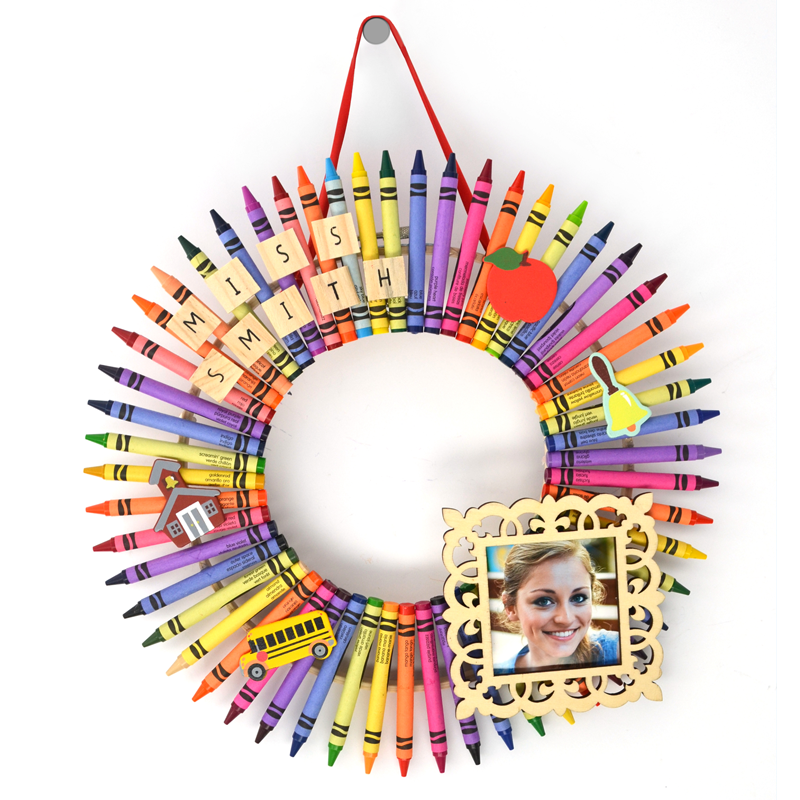 Kids might need help with this project but what teacher wouldn’t love this colorful wreath personalized with their photo to hand in their classroom? Let your students know how much you enjoyed having them in class with a sand pail and a photo to remember you by. Take a picture of each student holding a sign stating what they want to be when they grow up. When combined into a collage, it makes an adorable print for parents to look back on. Photo greeting cards are the perfect format for creating Keep in Touch cards. 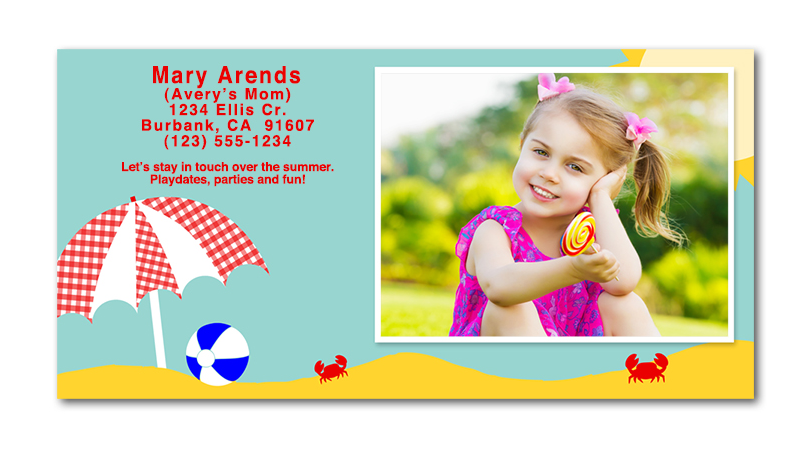 You can add text including contact information and a photo (so kids can tell Sally from Sarah), that will help friends stay in touch and have play dates over the summer. After a year of classes you might have a big pile of artwork, tests and report cards. 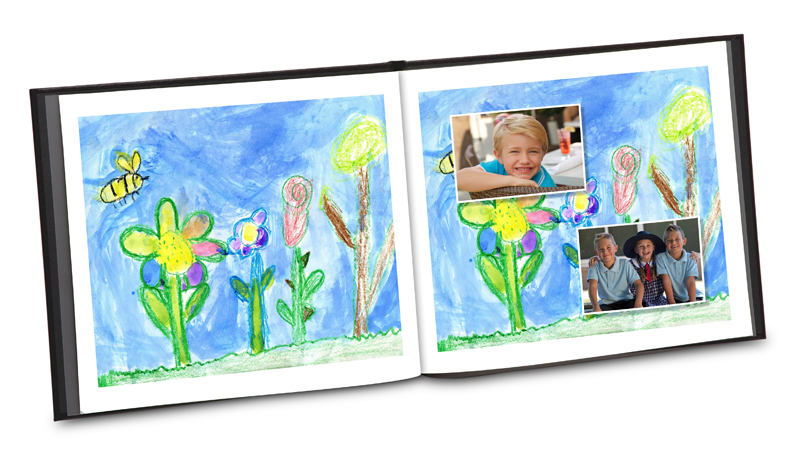 Scan them in at a Kodak Picture Kiosk and make it into a photo book to cut down on clutter around the house. 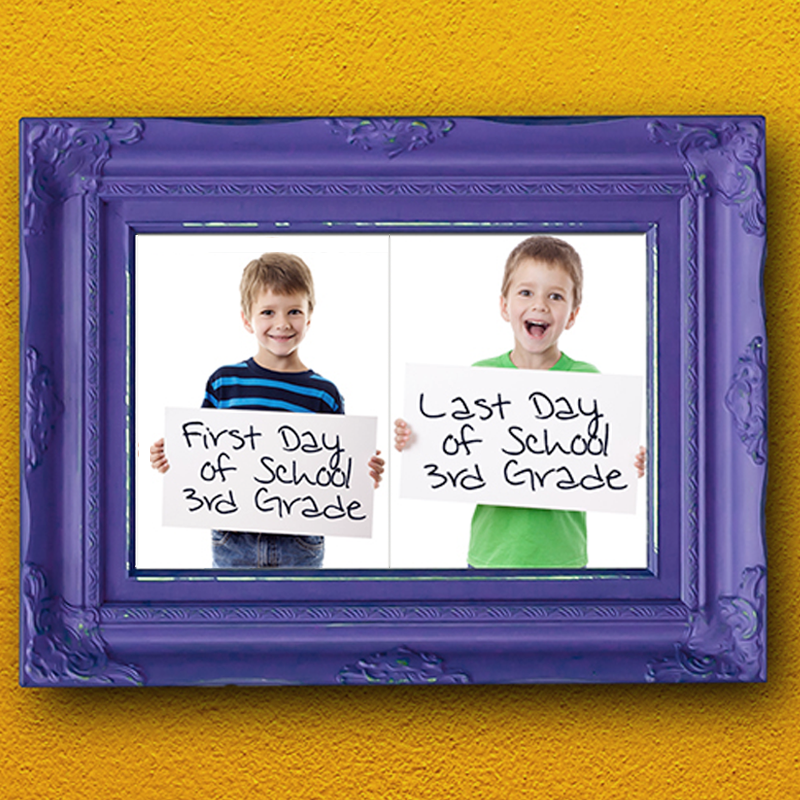 Don’t forget to take a picture of your little student on that last day of school to pair with a photo from the first day of school. You will love seeing how they grew over a year. If you just took a quick picture with your phone, you can print these photos with the My Kodak Moments app. Since there are long days stretching before you until school starts again, a photo to-do list will help the kids stay on task. All of these projects and more can be found on our School Tips and Projects page. 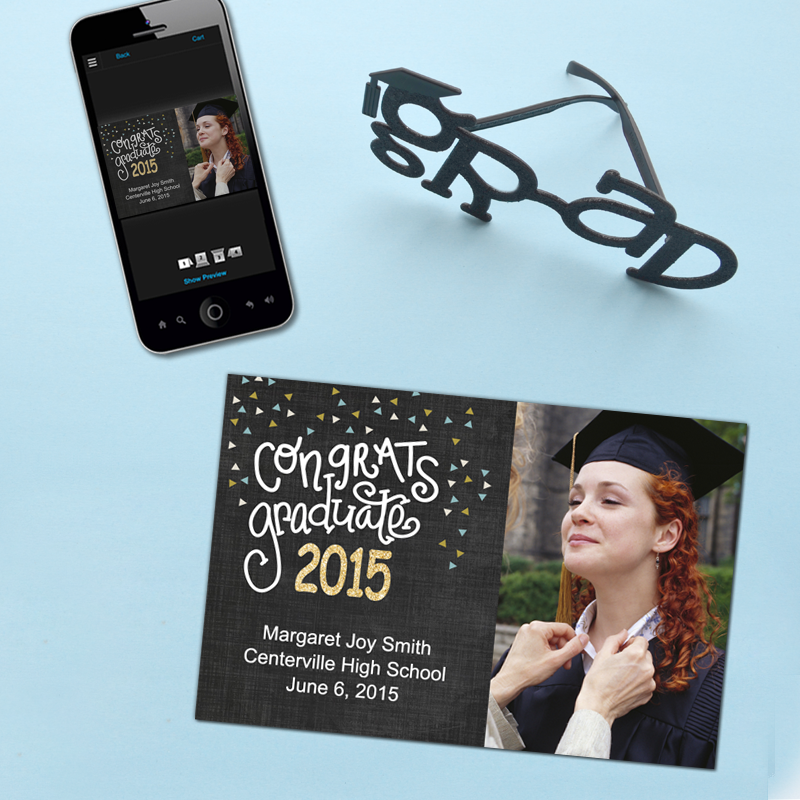 There are new designs to choose from for Graduation announcements and matching Thank You cards at Kodak Picture Kiosk and the My Kodak Moments app. These photo cards are super handy if you don’t have a lot of time to wait for announcements. You can visit a Kiosk near you or even use a picture on your phone to create cards fast. 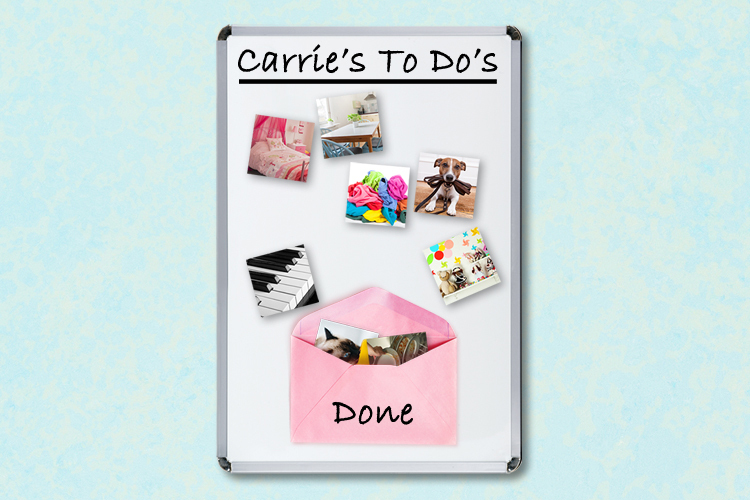 While you are printing cards, why not print out a few pictures for these projects for graduation? 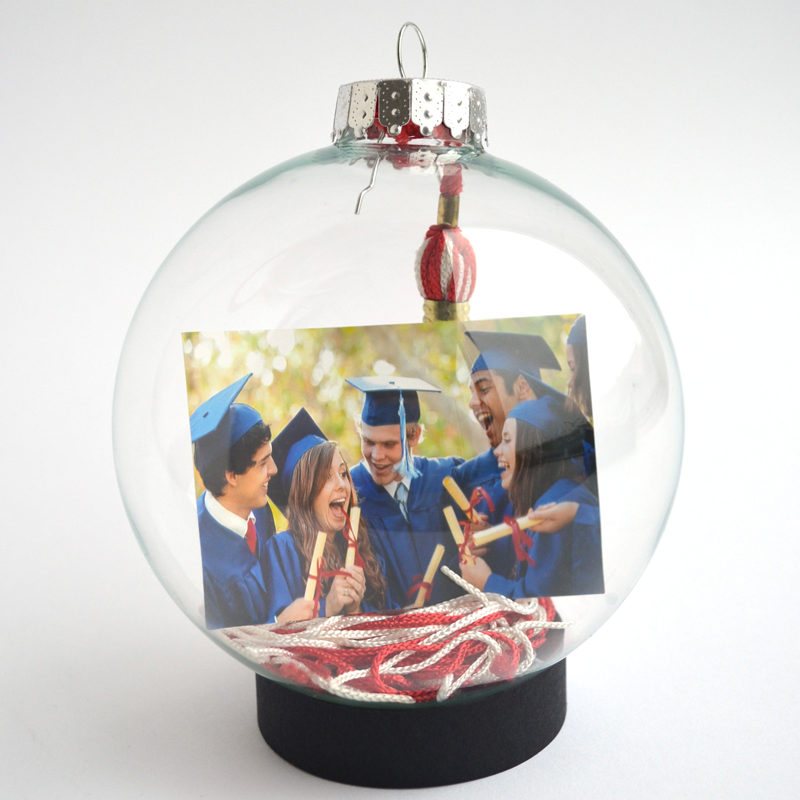 Save a tassle with a photo inside a clear ornament for a graduation keepsake. Create a “Break in Case of Emergency” bottle for a graduate that is heading off to college in the fall. Don’t forget about the little graduates! There are card designs just for them available too. 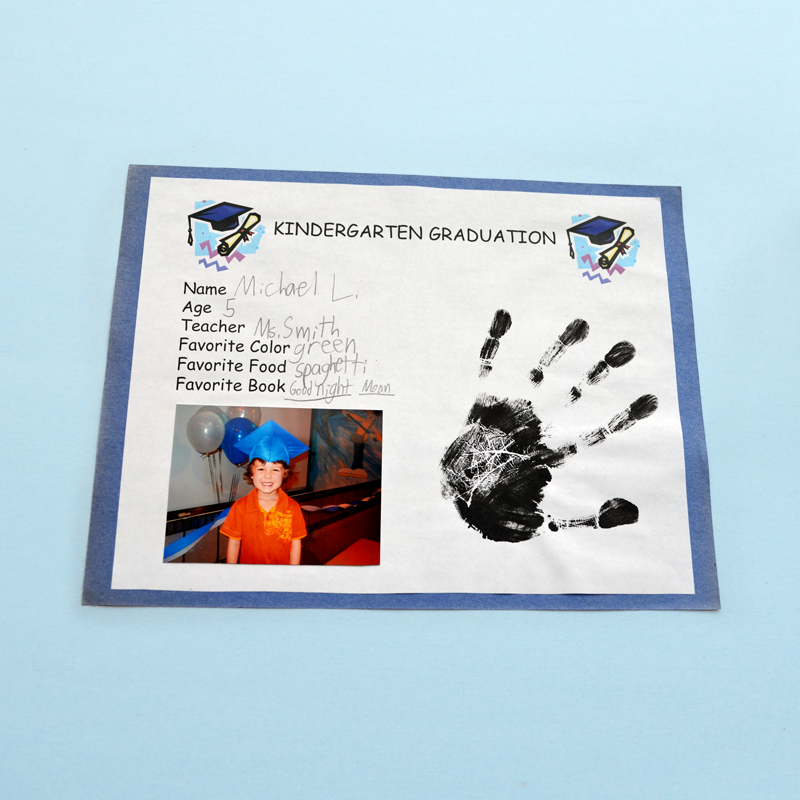 Use a photo to create a diploma for the lil grads that they will be able to look back on in the years to come. 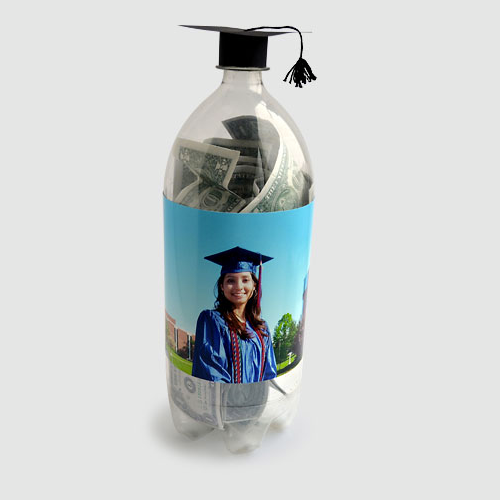 Find more graduation photo projects and ideas in the Tips & Projects Center. That time is almost upon us…the day we reserve for Dad and celebrate him and all his mustache, bow tie, and barbeque glory. Here are some ideas for personalized cards and gifts to make the day extra special. With the KODAK Picture Kiosk and the KODAK MOMENTS Apps it’s easy even if you wait until the last minute—same day service is not a problem for our products. Or, use your smartphone or iPad to create a card, order prints or make a photo book which you can pick up on your way home from work or have delivered right to your house. Every great gift starts with a cute card. 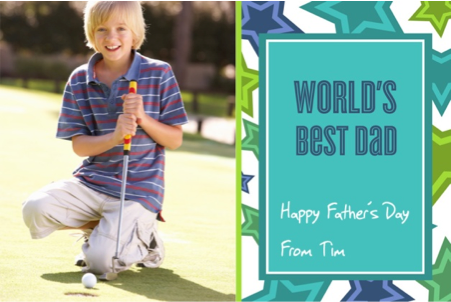 Here are some ideas for personalized cards that will really get Dad’s attention. Dad’s Favorite Activity: Surprise Dad with a custom photo card featuring the kids taking part in one of Dad’s favorite sports or activities. 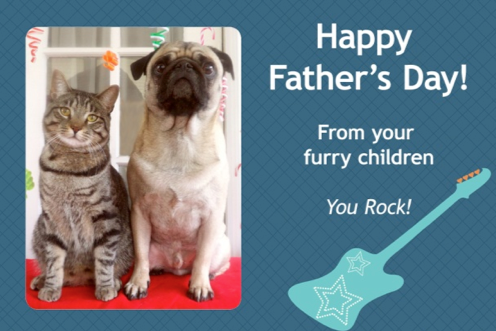 Card from the Pet: If your children are of the furry variety, they can still send a card to Dad on Father’s Day. 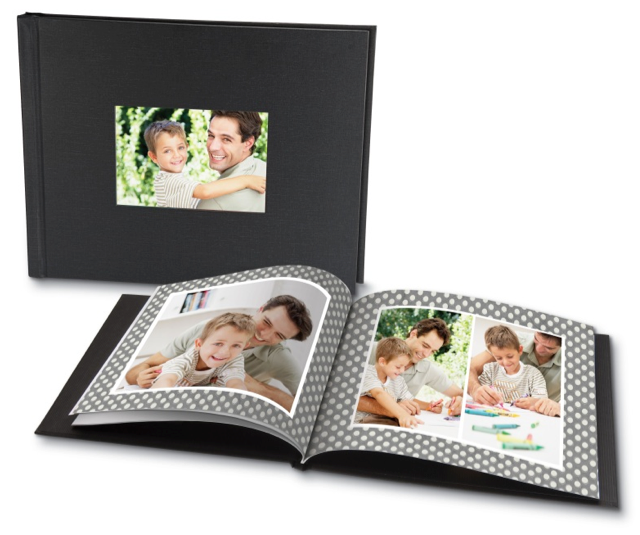 Custom photo books, bordered prints and collages make the perfect gift for Dad. Here are some ideas for unique versions that will become treasured keepsakes. Why I Love Daddy: Select a bordered print and add text that states an example of why your child loves his or her Dad so much. 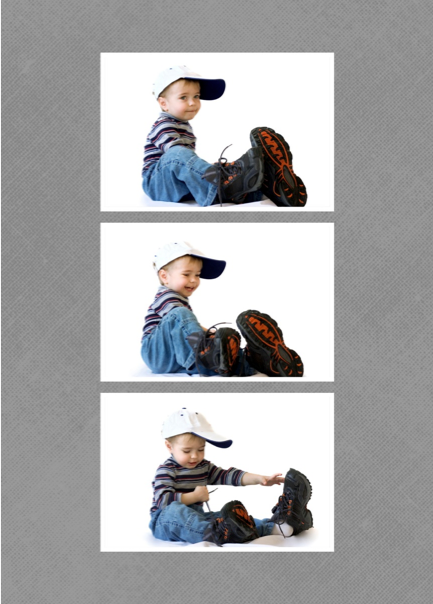 Just Like Dad: No one can fill Dad’s shoes, but you can have fun trying with this personalized collage showing baby wearing Daddy’s shoes! Just Me and Daddy: Create a personalized photo booking showing pictures of Dad, illustrating how he has been there for you over the years…coaching your Little League team, cheering you on from the sidelines, building you a tree house, teaching you how to drive, etc. How about getting the kids involved in making a gift for Dad? Here are some ideas and thought starters. 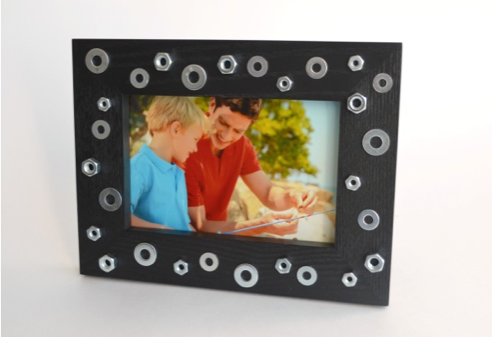 Hardware Frame: Show off your favorite picture of the kids with Dad with this unique frame. This is a great project for the kids to create for Dad. 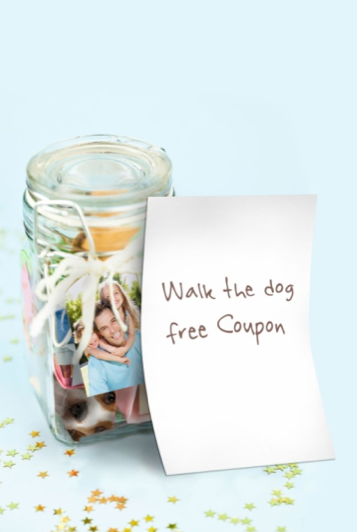 Coupon Jar: Give Dad a well-deserved break with personalized coupons good for free chores. For a new twist indicate what the coupon is for with a photo. For example, a print a picture of the dog and write “Walk the dog free coupon” on the back. 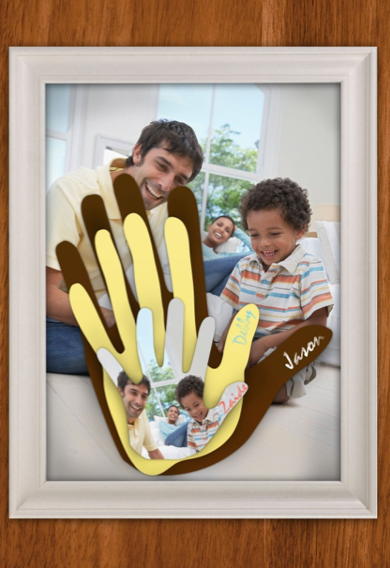 Family Handprints: Using a family photo in the background and repeating it in the smallest hand print makes for a cool 3D effect that Dad will love! All the kids handprints are represented with this project which serves as a great memory for Dad as the kids get older and bigger! This is just a start. 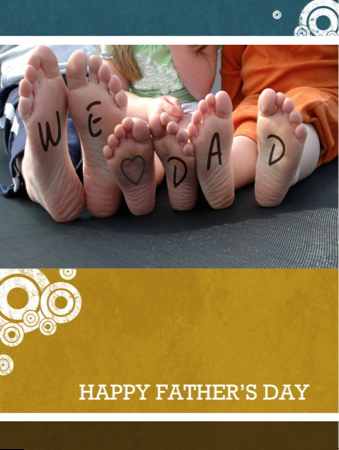 Check out these and other great Father’s Day projects on our Tips & Projects Center.